Life for a shelter cat is filled with anxiety, and where shelters face overcrowding, the situation gets worse. According to the ASPCA, approximately 6.5 million companion animals enter U.S. animal shelters nationwide every year. Of those, about 3.2 million are cats. Some of these cats are surrendered, while others are rescued off the streets. Sadly, those that are not adopted could be euthanized within weeks, and many of them don’t make it out of the shelter alive. In Los Angeles, where a string of hoarding cases overwhelmed local shelters, some were forced to “red list” a number of animals, and euthanize them when they could not make room for more. Jackson Galaxy exits a plane full of rescued shelter pets. Approximately 1.6 million shelter cats are adopted each year, the ASPCA maintains, and about 90,000 cats who wind up in shelters are actually returned to their owners. Still, those numbers are dwarfed by the amount of bred or purchased cats each year. 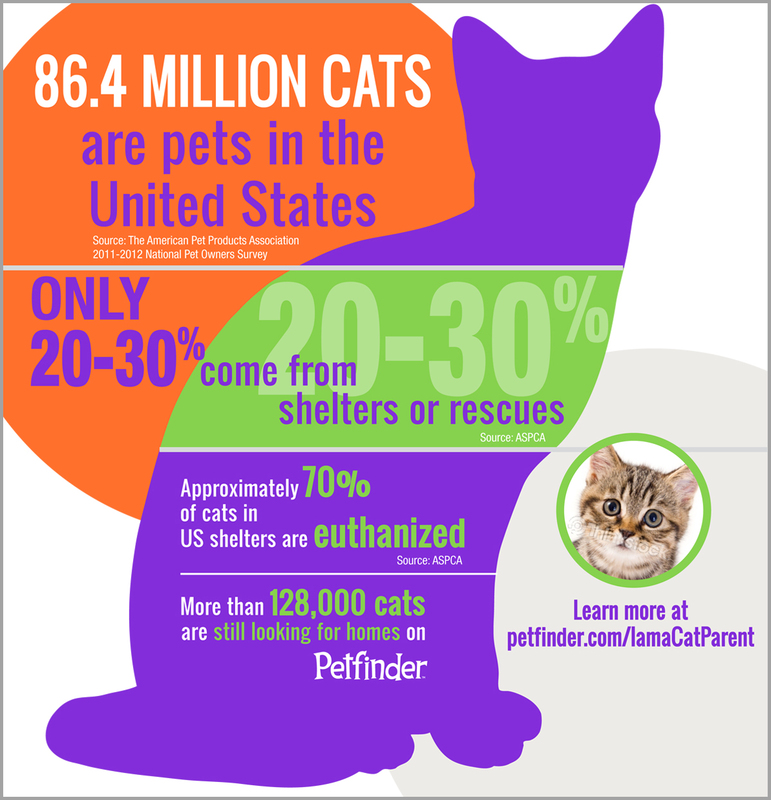 According to Petfinder, there are at least 86.4 million pet cats in the United States, but only 20 to 30 percent of them come from shelters or rescues. Millions of cats are languishing in shelters, some without much time left to live. Jackson Galaxy, the Animal Rescue Site, and caring readers like you are helping save these beutiful animals! A staggering number of shelter animals all across the world will never find the care or comfort of a forever home, but the Jackson Galaxy Project, a program of GreaterGood.org, Operation Homeward Bound, and the Animal Rescue Site are working to change that. Galaxy has been able to touch so many lives with animal advocacy and compassion, and with the help of GreaterGood.Org, Wings of Rescue, and readers of the Animal Rescue Site he’s doing so much more. Operation Homeward Bound is saving cat lives across the United States, flying them out of overcrowded shelters, matching them with caring adoptive families, and placing them in loving homes. Approximately 6.5 million companion animals enter U.S. animal shelters nationwide every year. On July 24, the team flew 130 cats to safety, and many others still have a chance, but not without the help of caring animal advocates like you, and others around the globe. The Animal Rescue Site and Greatergood.org were on the ground in Everett, WA to meet Jackson when he touched down with 139 rescued cats. Operation Homeward Bound is kept running by small donations from ordinary people who love cats, and want to see them saved from life in a shelter, or eventual euthanasia. The program is getting those cats off waiting lists in shelters across the U.S., and giving them the love they deserve. Click the button below to help these animals out, support Operation Homeward Bound, and make a difference! Each year, 6-8 million dogs and cats enter the shelter system, and about half never make it out. At least part of the problem comes from the fact that many shelters in the southern U.S. have too many pets for their town’s population. You can help Jackson Galaxy and Operation Homeward Bound bring pets from overcrowded shelters to locations where they can find their forever homes.